This past weekend, I was at the Good Food and Wine Show in Johannesburg, demonstrating some of my smoothie skills at the Well I Am Kitchen theatre. It was so great to partake alongside individuals within the wellness space who all speak the same language. A shift in the way people are looking at nutrition is definitely underway, graduating away from old schools of thought on nutrition, and moving towards the proper nourishment of the body. My post today is inspired by celebrity trainer and wellness expert Lisa Raleigh, who emphasizes low GI eating – something I can really agree with because it is sustainable. Let’s be real – no one is going to go without eating carbs for the rest of their lives – it’s unrealistic and unsustainable! So let’s implement a smart way to eat carbs instead - Low GI eating is about choosing the right kind of carbs and pairing them with foods that will promote slow energy release even further. You may be wondering….What on earth does GI mean? So lets start off by describing what GI or the glycaemic index of a food is: The glycemic index essentially measures the effect of carbohydrates foods on your blood sugar levels. High-glycemic foods lead to steep spikes in blood sugar levels , while low-glycemic foods have a more moderate effect. Foods containing carbohydrates have a glycemic index value that compares their effect on your blood sugar to the effects of a control food, such as white bread or glucose, which has a value of 100. Diets that consist mainly of low-glycemic foods can help sustain a healthy body weight and reduce risk for diabetes as well as heart disease. But why do we want our blood sugar levels to be stable? When our blood sugar levels are stable – that is we are being provided with a slow and sustained release of energy – we feel more energetic, we feel satiated, and we don’t experience energy slumps. When our blood sugar levels are high, this triggers the release of insulin to get rid of the sugar in our blood. Insulin it therefore essential for our bodies, however when consuming too many refined carbohydrates, insulin levels spike and this in turn triggers our fat storage hormone, which of course can lead to weight gain. Enjoying Low GI eating is not about cutting out carbs completely; rather it is about being smart about what carbs you eat and how you eat them. A simple and easy way to be smart with your carbs is to use the glycemic index of a food to control blood sugar levels and hunger. To lower the glycemic index of your meals, you can alter the way you prepare your foods and the combinations of foods you choose to eat. As you plan your diet, remember that the glycemic index encompasses only the carbohydrate content and its effects on your blood sugar, not the overall nutritional value of each food. Dietary fibre, fat and protein slow the release of sugar into your bloodstream and help lower the overall glycaemic index of a meal with carbohydrates. So lets Get Carb Smart!! Select less processed forms of foods. Fresh fruit, for example, has a lower glycaemic index than dried counterparts and fruit juice. Add sliced avocado, a source of healthy fats to a carbohydrate-rich meal. Add tomato juice, lemon juice or apple cider vinegar with your meal may help reduce the glycaemic load. 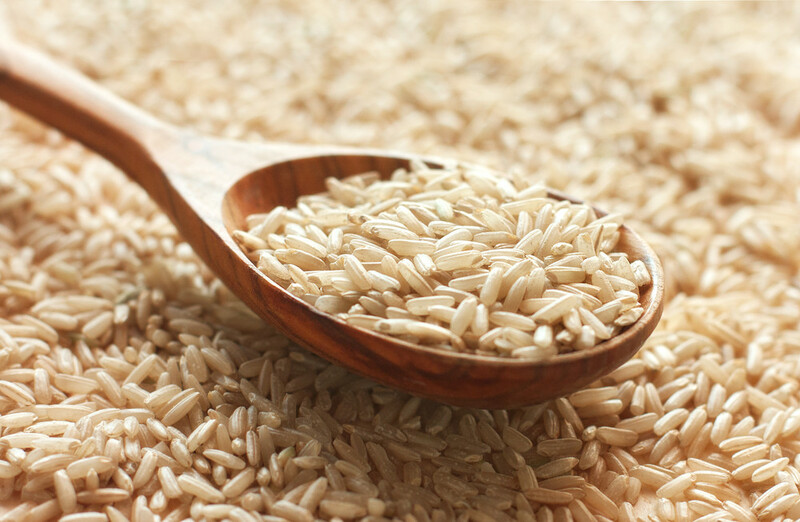 Choose slow-cooked oatmeal over quick oats because it is higher in fibre. If you really want to have a piece of pie or cake, have protein with it. Adding whey protein powder or cottage cheese will slow the release of sugars into the blood stream and help keep insulin levels from shooting through the roof. But remember, calories in must stay below calories out for you to lose fat. Adding protein will not negate excess calories. Cook your pasta and rice al dente (firm) to maintain a moderate level glycaemic load. Overcooking pasta or rice raises the glycaemic load. Lightly steam your vegetables or eat them raw to maintain their fibre content. Choose firm fruits that are not overly ripe. The riper the fruit, the higher the amount of naturally occurring sugars. If you enjoy sushi, choose sashimi instead to avoid the high glycaemic load of the rice. Instead of a sandwich, have a salad with a scoop of sandwich filling such as egg, tuna or salmon. If you must have pizza, choose a whole-wheat thin crust instead of a thick, white flour crust. You can also opt for a cauliflower pizza base, which is low in carbohydrates. Soups made of lentils or other legumes are better choices than cream of potato because of the higher fibre content and lower glycaemic value of beans versus potatoes. If your soup has a high glycaemic load, consider adding low fat cheese to increase the fat and protein content of your meal. Try eating an apple with a tablespoon of almond butter to increase the fat, fibre and protein content of your snack. If you must eat breakfast cereal, try eating a boiled egg white straight after to increase protein and slow the release of sugar to your bloodstream. Choose berries for dessert instead of pineapples and bananas because they are low glycaemic and higher in both fibre and antioxidants. Dark chocolate is a better choice than milk chocolate because it is lower in sugar and provides a source of health-promoting antioxidants. But remember, one small square is all you need to get those health benefits! Remember to pay attention to the fat content and calories of the foods you eat so they don't get out of hand.